After natural disasters strike, professional engineers make it their mission to not only rebuild communities, but also make them more resilient. 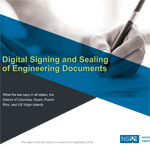 Professional engineers can offer more to disaster planning and recovery than design solutions. Another aspect that can’t be ignored, pre- or post-disaster, is policy. Engineers may be reluctant to get involved in this area, preferring to keep to the technical arenas where they feel most confident. 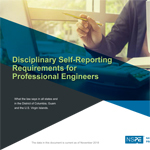 But some PEs point to the need for engineers to contribute their technical knowledge to policy discussions, seeing such actions as part of the ethical responsibilities of their roles. There might be an important element missing from the current engineering curriculum: management. Many engineers find themselves in roles where they must learn how to manage other engineers on their own. Great engineering managers must have the ability to learn from their mistakes, be advocates for their teams, and possess a passion for leadership. Spread the Cheer. EWeek’s Almost Here.